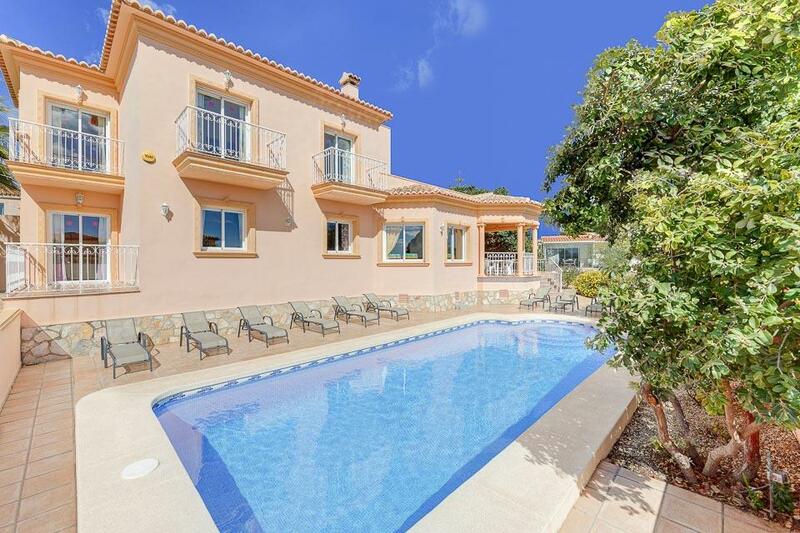 A well appointed villa, with pool heating, close to the main Blue Flagged sandy beach in the popular family friendly resort of Calpe. 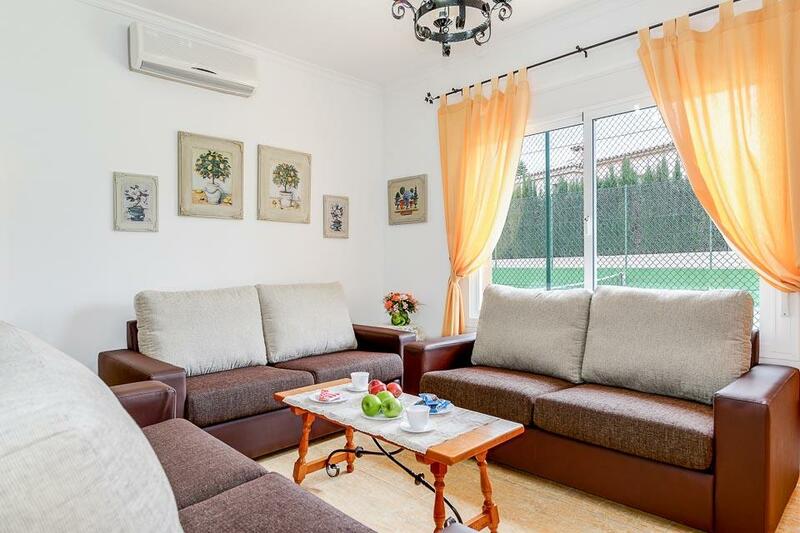 Spacious, comfortably furnished and designed with families in mind; Casa Rosa sits in beautifully maintained grounds that feature a large heated swimming pool and private all weather tennis court. 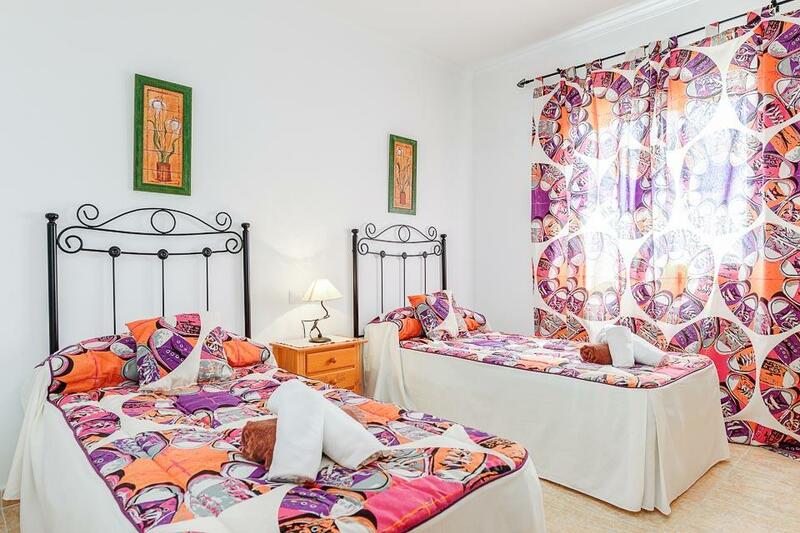 Inside, seven air conditioned bedrooms are spread over the two floors, each furnished in a cheerful, contemporary style. Many of the rooms, as well as much of the expansive terraces, afford eye-catching views of the Mediterranean Sea and the striking silhouette of the iconic Penon de Ifach rock. Located very near to some of our other villas, including Destino and Avellana, this is a great choice for more than one family wishing to holiday together. 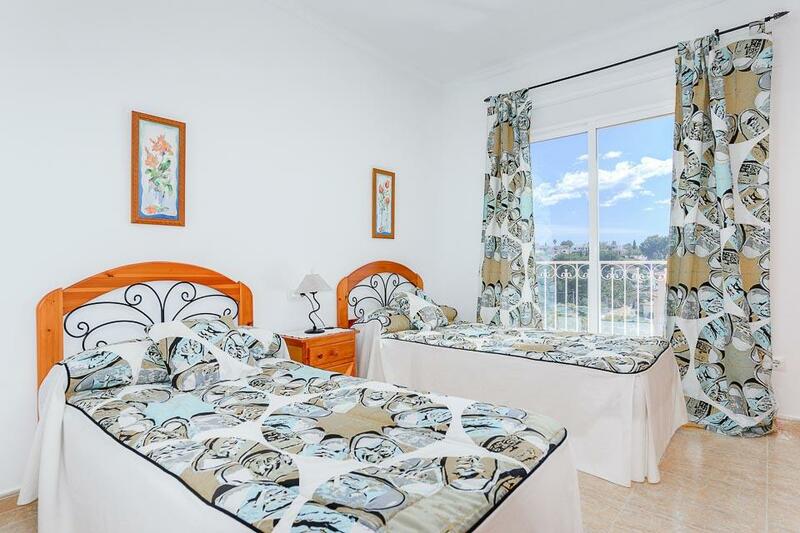 Casa Rosa is located a 20 minute walk from the family-friendly Blue Flag sandy beaches of Calpe and its extensive waterfront promenade, fringed with a wonderful and eclectic selection of bars, restaurants and cafes. 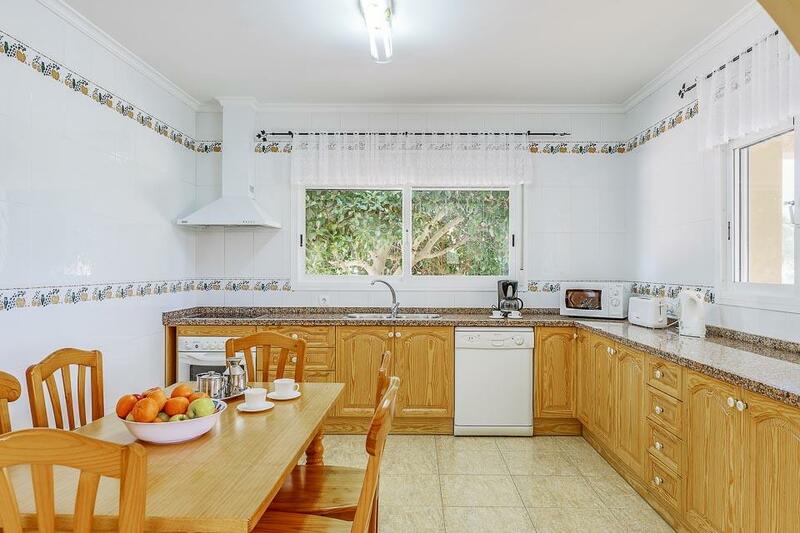 The convenience of this location, choice of facilities on offer and quality of finish to both the interior and exterior makes Casa Rosa without doubt one of our most popular villas. There are two entrances into this villa; both have large sliding gates, one located on the front and another at the rear. The rear entrance is on the same level as the front door. On the front there is a sloped driveway and then a ramp up to a level area which leads round to one large step (20cm high) up to the front door (83cm wide). Once inside there is an arch (100cm wide) leading into an open plan Kitchen, diner and lounge. 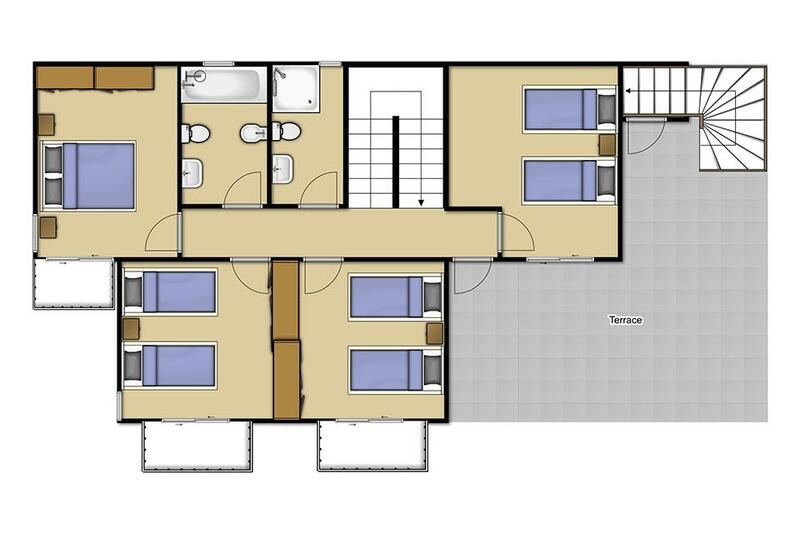 The bedrooms and bath/shower rooms on the ground floor can be accessed via an archway (87cm wide). 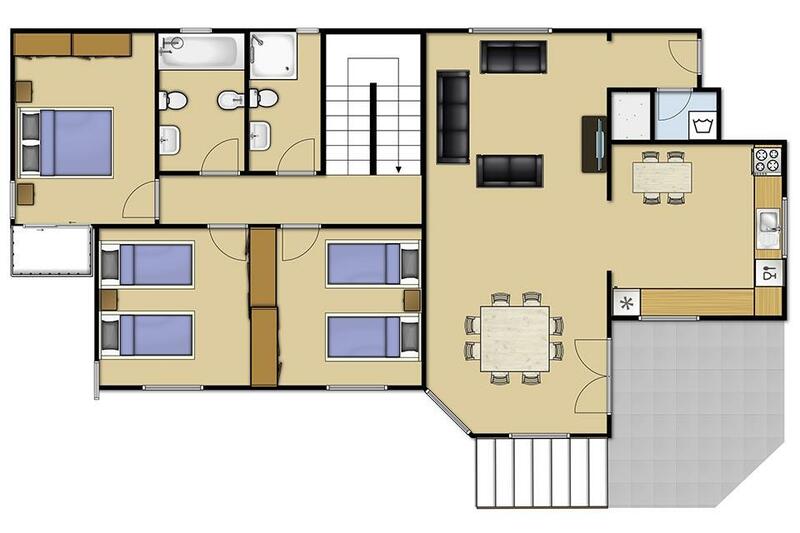 There are also two twin bedrooms and one double bedroom along with one full bathroom and one full shower room with shower doors that open 40cm wide (all doors 68cm wide). There are sliding doors in the lounge (72cm wide) which allow access through to a covered terrace. Nine steps down followed by a ramp lead to the pool area. There are six roman steps down leading into the pool. 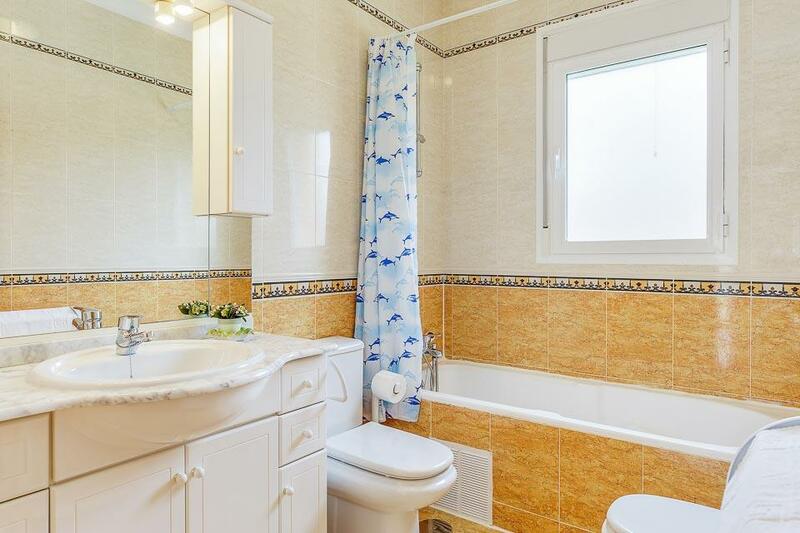 We hope this mobility statement provides enough information to enable a decision to be made easily on the suitability of this villa for you and your party. If you require any further/specific information please contact us and our Travel Consultants will be happy to assist. The villa was superb, you could not fault it in anyway. Our family holiday was perfect. The villa size was superb for the family, there were 13 of us. The pool was ideal for the grandchildren. The villa was well equipped and enough space for everyone to have their own quiet spot. A lovely swimming pool which was partly shaded which was great for the children. Views were lovely looking down to the Rock. 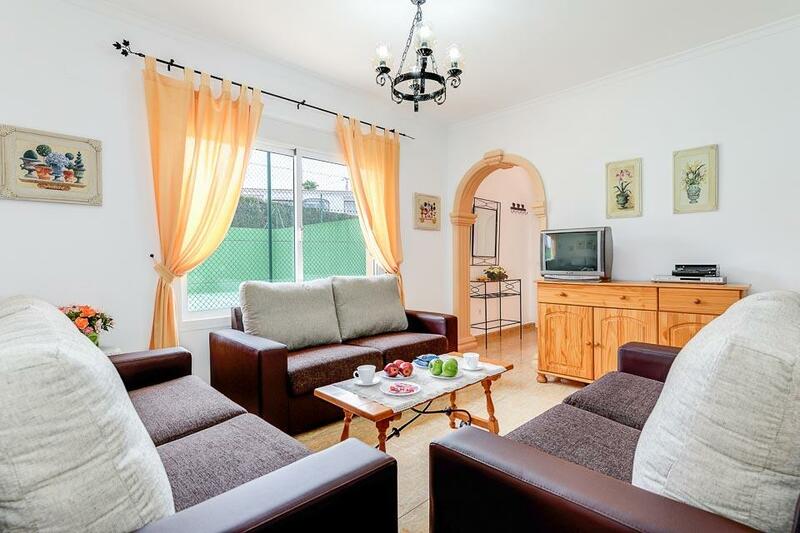 Well positioned with eating places fairly close to the villa or just a 15/20 minutes walk down to the town. Everything about the villa was very good. Clean and tidy with lots of space for sunbathing. Pool excellent. Great villa, very spacious. Pool was brilliant, deep enough and big enough. Without the heating we wouldn't have used it so that was worth the extra money. Although there were a few things which were past their best, and the beds being a bit uncomfortable I couldn't fault the villa for what we paid. Nice clean rooms, heated pool, tennis court/playfield, good location. Kids loved it. The location was good, not too far away from the nearest restaurant and supermarket. The villa was spacious and clean. The villa was very spacious and well equipped. It had a good sized pool and was in a quiet location . The resort itself had a good selection of supermarkets as well as various restauraunts. The villa was superb,you could not fault it in anyway.Our family holiday was perfect. The villa had everything we needed and the resort was nice. I'd rate my overall experience for this villa as Excellent We stayed in Case Rosa in July 2013, 6 adults and 5 children. The villa was immaculate and had plenty of room so no one got in each others way. 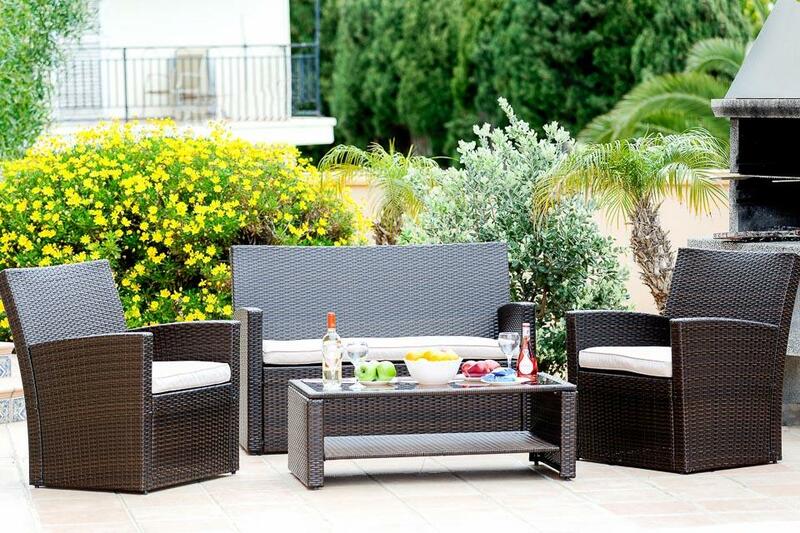 The Solmar rep provided excellent service, meeting us on arrival at the villa. All in all and excellent holiday and will be using Solmar again next year. Had an excellent family holiday at this villa - 9 adults and 3 children. Plenty room inside, large kitchen and enough seats to eat either inside or on the lovely outdoor seating area overlooking the pool. The pool area is fantastic and ideal for relaxing. We used the BBQ on several occasions. We would go back to this villa as we had such a good time. Would recommend it to other families/groups. Rated Excellent - Had an excellent family holiday at this villa - 9 adults and 3 children. Plenty room inside, large kitchen and enough seats to eat either inside or on the lovely outdoor seating area overlooking the pool. The pool area is fantastic and ideal for relaxing. We used the BBQ on several occasions. We would go back to this villa as we had such a good time. Would recommend it to other families/groups. We had a fantastic time, this was the first time ever we had stayed in a villa and I would very much like to have a villa holiday again. The villa was really special and in such a beautiful location, the bedrooms were all lovely and most had balconies with great views. There was a real surpise when one day we went through onto one of the balconies and found stairs that went right up to the top of the villa where the views were spectactular. 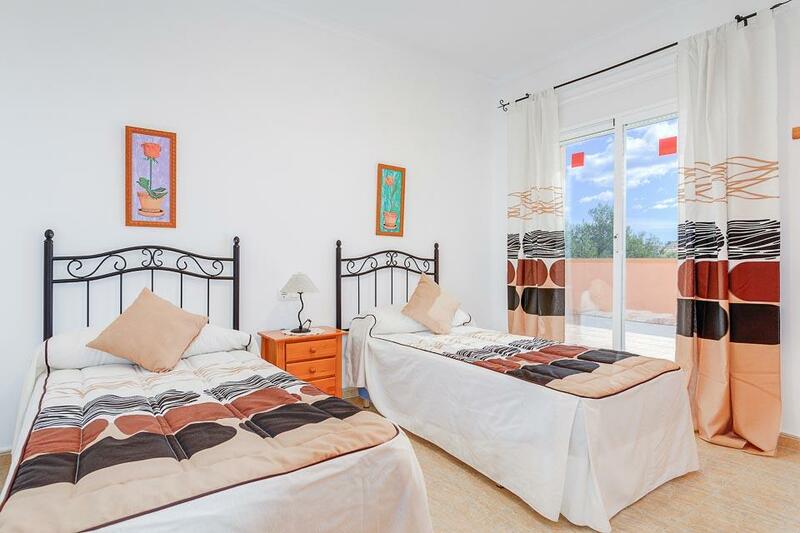 It has a decent sized pool and the tennis court is a fantastic additional extra and situated behind the villa. 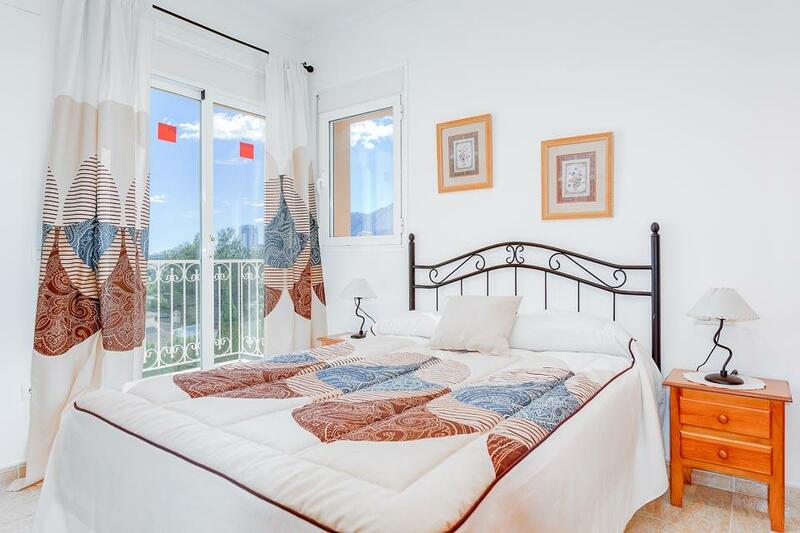 Casa Rosa has a fantastic view of calpe and Penon Ifach and the surrounding mountains. There are hundreds of places to eat along the sea front and also the streets behind. Thank you very much for a fabuous villa in a fantastic location. Casa Rosa was a million times more fabulous than we ever expected! Even with 15 of us filling the house, it never felt too crowded and there were plenty of sunbeds and space by the pool and on the roof top terrace! After a week in your villa, we have left with many great memories! The villa was a fantastic week, which has supplied us with a holiday that we will never forget. It was a week of luxury, in such a special and unique place of the world. The villa was well equipped and we had no complaints. Thank you very much for all your help in planning our week. It was truly a holiday that will always be remembered. Thank you so much, we had a fantastic holiday. There were eleven family members in our party, including some who travelled from California and each one of was delighted with the Villa and the peaceful yet handy location with a view of the Rock 'IFach' too . It was spotlessly clean, light, airy and had every comfort we could have asked for. The younger ones were very happy to walk 20 mins to the beach sometimes twice daily, while the rest of us preferred the few mins drive! There were couple of great restaurants along the promenade where the service and prices were amazing. We also enjoyed walking along to the harbour area where we watched the freshly caught fish being auctioned. Later we then made our choice from the freshest of fish displayed at the row of restaurants opposite. That whole coast is lovely, well worth exploring, not over commercialised and still retains much of it`s original character. The holiday exceeded our expectations totally we would recommend Solmar Villas without reservation.Thank you again. Would like to say we had a fantastic holiday, the villa was very well maintained and a pleasure to stay in. My children loved the pool and the men liked the tennis courts. it had something to please everyone. the view was beautiful as well and the town was very close. will definately use solmar villas again. The villa is indescribably beautiful, in a fantastic location and with absolutely everything you could want for the perfect holiday. Without a doubt our stay in Calpe was the best holiday of our lives. A brisk ten-minute walk from the gloriously sandy beach, five from two well-stocked supermarkets and boasting a magnificent pool and tennis court, this villa almost is too good to be true. The weather was exquisite, and with car hire you can easily explore the beautiful surrounding villages and mountains. Our warmest thanks to Solmar Villas for a truly wonderful holiday. I cannot recommend you heartily enough. If our group can get themselves together for a repeat in 09, you will definitely be the people to go to. 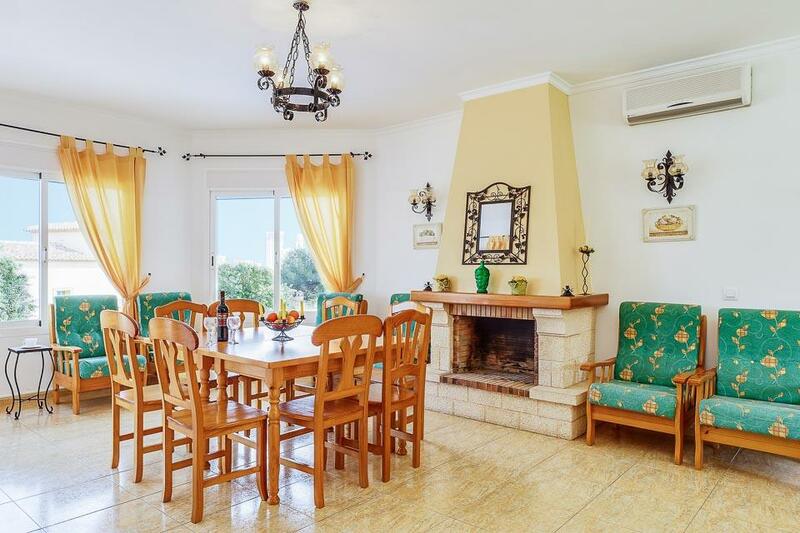 Villa David is a delightful villa located in a superb position a short 15 minute walk from Calpe’s popular town centre and magnificent family friendly sandy beach. 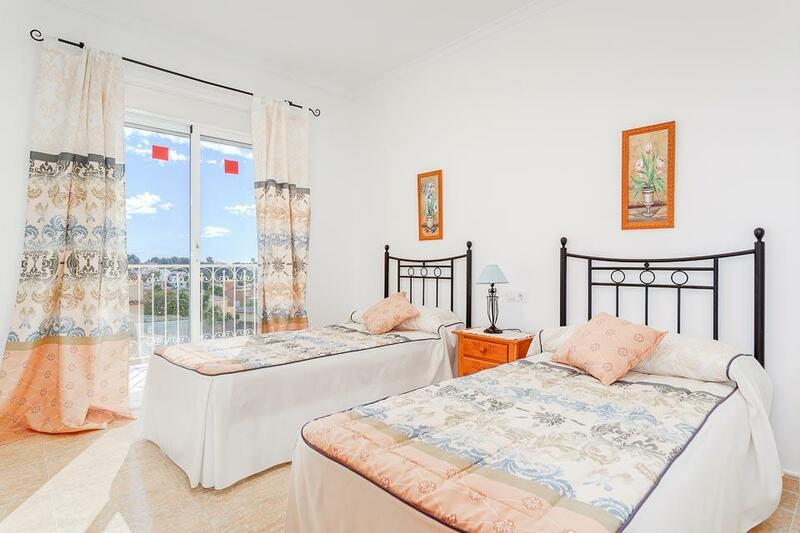 Furnished and decorated in a pleasingly modern design, and boasting seven bedrooms,..